Take a break from Tawang with a short trip to Thupsung Dhargye Ling in Dirang, about 1h 45 min away. There's lots more to do: contemplate the waterfront views at Sela Pass, look for all kinds of wild species at Eagle Nest Wildlife Sanctuary, admire the sheer force of Nuranang Falls, and take in the awesome beauty at Gorichen Peak. For maps, photos, reviews, and other tourist information, use the Tawang trip planner . 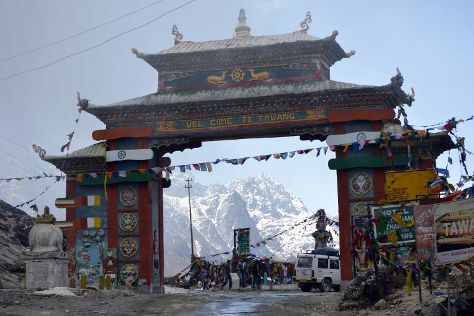 New Delhi to Tawang is an approximately 46-hour car ride. You can also fly. Wrap up your sightseeing on the 29th (Mon) to allow time to travel back home.